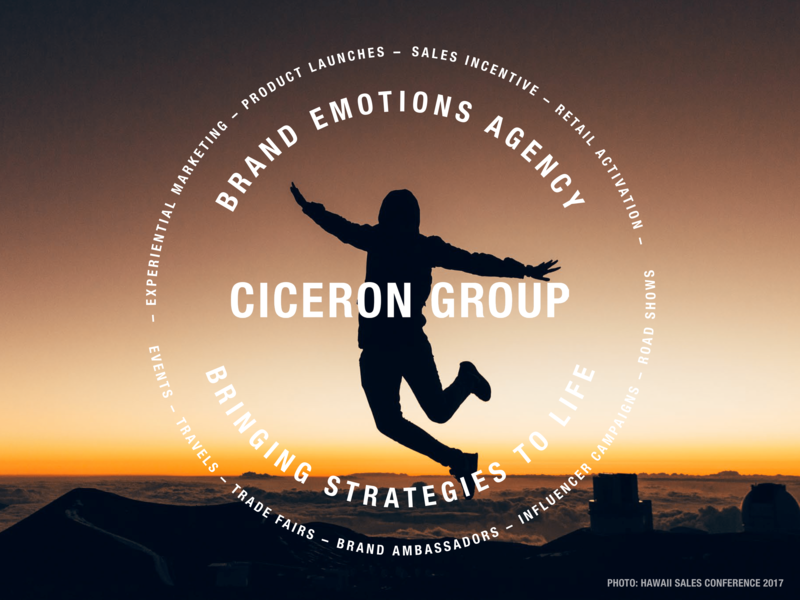 Ciceron is Stockholm based leading Brand Emotions Agency helping clients connect with their audiences worldwide. Through strategy & concept development, communications, best-in-practice service and project management, we design meetings and experiences that create an emotional connection between a brand and its most important stakeholders: business partners, end consumers/users and employees. We understand what engages people and help clients bring “on-paper” strategies to life. Solutions include: Sales Incentives, Trade Fairs, Brand Ambassador Staffing, Influencer Campaigns, Road Shows, Experiential Marketing, Product Launches – in essence – all that relates to engaging target audiences.